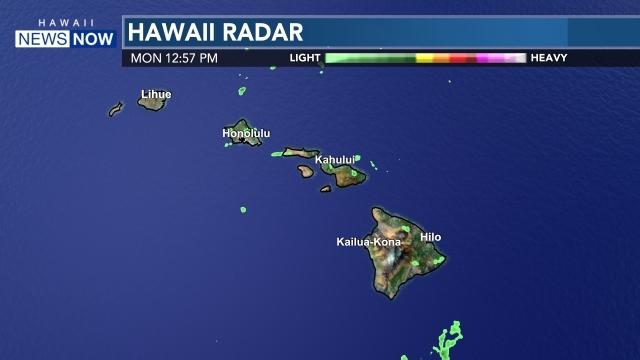 MAUI (HawaiiNewsNow) -The National weather service in Honolulu has issued a severe thunderstorm warning for Maui until 7:30 am. At 6:32 a.m. the National Weather Service says radar indicated a severe thunderstorm capable of producing quarter size hail. This storm was located 4 miles south of Nahiku or 23 miles east of Kahului...moving to the north at 10 mph. Locations potentially impacted include...the Hana highway, Huelo to Nahiku. This is a dangerous storm. If you are in its path prepare immediately for damaging winds...hail...and deadly cloud to ground Lightning. People outside should move to a shelter...preferably inside a strong building...but away from windows. Track the storm by clicking on our Interactive Radar.